There’s a warning before each episode telling you there’ll be violence, strong language and adult situations. What more could you want? 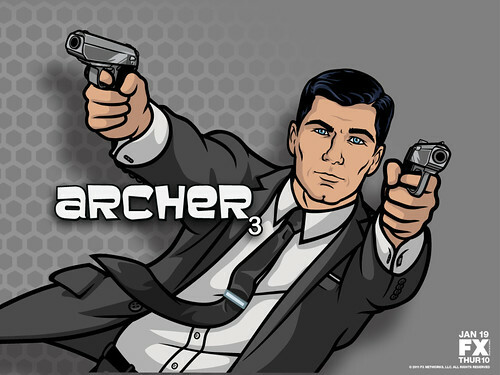 The title character, Sterling Archer, is like James Bond in cartoon form but way more narcissistic and cocky. (Phrasing!) And also hilarious, as are the rest of the oddballs employed with him at the ISIS spy agency. There’s a mod 1960’s vibe to the show that I of course enjoy. The ISIS office looks straight out of “Mad Men” — and not just because these characters are also constantly boozing. 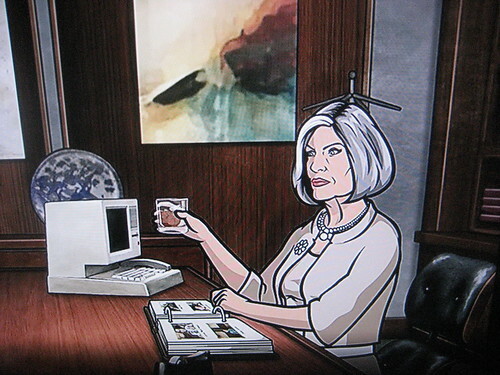 Sterling’s mother/boss, Malory Archer, has a chair that looks like a variation of the Eames Lounge. 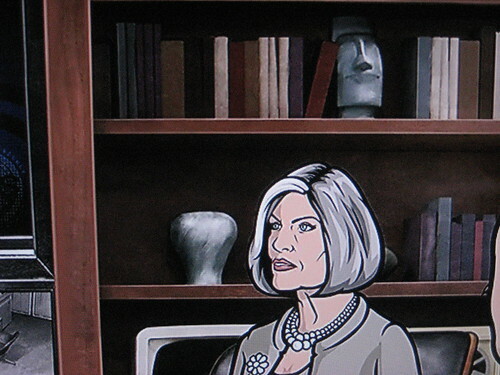 The art director talked about his mid-century modern influences in this interview on the Archer production blog. 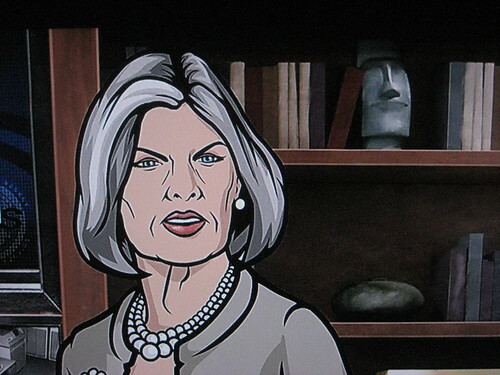 New episodes of “Archer” season three start airing Thursday, January 19 at 10 p.m. on FX. Tune in and spare yourself from me bugging you about it next time we meet. Then we can just talk about how great it is instead. whoa!!!!! tiki on Archer!!! how did you even spot that?